How would you like the possibility to automatically spread your daily budget evenly throughout the day instead of burning up your budget in a few hours? Well now you can with this new feature from ExoClick. 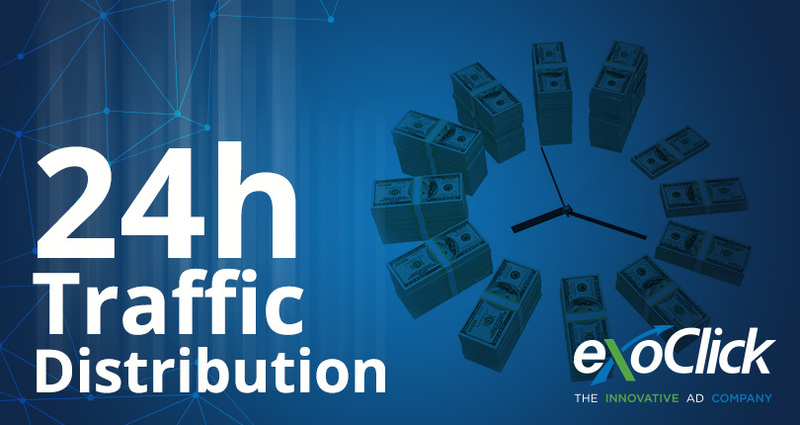 It works by implementing an algorithm that speeds up or throttles down the amount of traffic that you are buying, ensuring that your budget is spent evenly during the 24 hour day. Day Parting: The algorithm will also take into account day parting hours that you have selected, for example, if you select only three hours of the day it will distribute your traffic evenly during those three hours. Low budget testing: This feature is especially useful for those campaigns that have a low daily budget, for example, if you are testing a campaign. More diversity: Using even distribution gives you the opportunity to increment the number of unique users and diversify the audience that you are reaching, which can help to improve your conversions. In order to activate the feature you need to select a budget amount from the drop down menu. This reveals the “Budget Delivery Mode” field, then select the “Distribute throughout the day” option. The other option in this field is “Quick Delivery” which will spend your budget in one hit until it is exhausted. 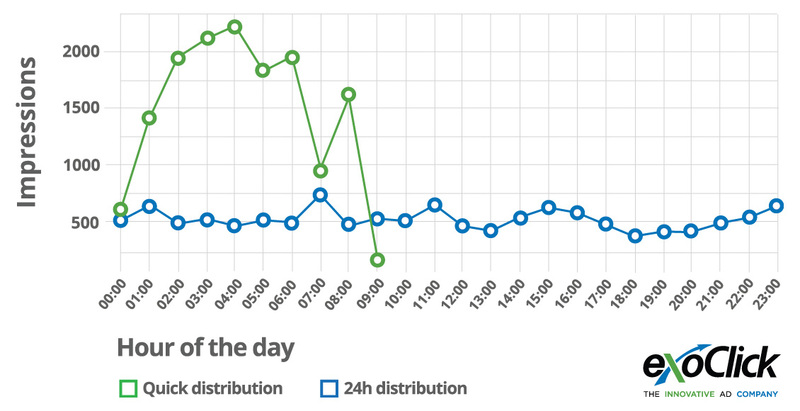 Here is a graph showing two identical campaigns except one has ‘quick distribution’ and the other ‘24h distribution’. It shows the number of impressions by hour during a 24 hour campaign. Try out the new feature and if you have any questions you can speak to your account manager or contact our Client Care Agents.